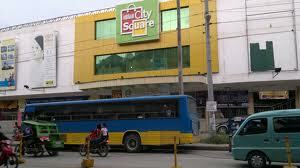 City Square Mall is the third largest shopping center in Tagbilaran City Bohol. Located right across the street from BQ Mall. Find Special Discounts and promos at City Square Bohol shopping center in Tagbilaran. Located in Tagbilaran City. Address. CPG Avenue. Tagbilaran City, Central Visayas!